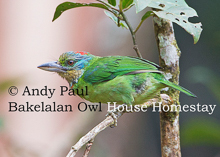 In the Kelabit Highlands of Central Borneo lies Bakelalan, a quaint little village nestled among the hills. 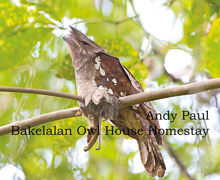 This is the best site to look for Dulit Frogmouth which was recently rediscovered. 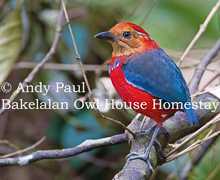 Birding will be done along roads that cut through the forest at altitudes of 1000-1700 m asl. 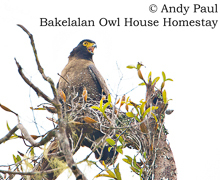 Some Bornean endemics are easier to see here than Kinabalu National Park, e.g. 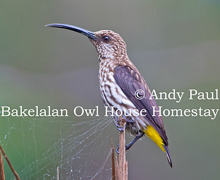 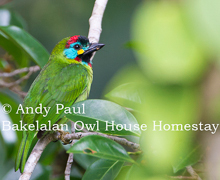 Whitehead's Spiderhunter, Mountain Serpent-Eagle, Bornean and Mountain Barbets, Hose's Broadbill and Blue-banded Pitta.